Harmony Licensed Massage Therapy; Andrew Wolfe,LMP,Mms. Professional medical massage therapist, Andrew Wolfe, LMP of Harmony Licensed Massage Therapy, based in Arlington Washington is an expert in his field in full time local private practice; since 1987. Andrew is the most established and experienced massage therapist in the area. He treats orthopedic, skeletal and muscular conditions as well as sports, auto (PIP) and on the job injuries (L&I). 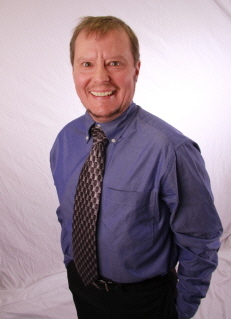 He has advanced level clinical experience and training including locally in Pacific Northwest Washington and in Beijing China; advanced myofascial release, masters in metaphysics, advanced Chinese studies, certified personal life coach. He has worked privately and with other healthcare professions including, chiropractors, medical doctors, orthopedic surgeons, specialists and physical therapists and comes highly recommended. His experience in his profession excels him beyond the industry's standard, surpassing most therapists. "More than a 'back rub'. Andrew therapeutically, professionally and intuitively has knowledge beyond your average therapist. He excels beyond what others claim they can do. Andrew is the best at what he does." Most medical insurance claims accepted including Labor & Industry (L&I), Motor Vehicle Accident Injuries, and private medical insurance; First Choice, Regence, Uniform Medical, Allstate, State Farm, Farmers are a few of the insurances I work with. Authorization required prior to therapy on first visit. manual traction, stretching and remedial movement of the body to re-engage nerve pathways and allow muscle memory to reset into the body by natural and effective means. I also utilize Swedish massage and trigger point and somatic movement. My care is strong, compassionate, reliable and holistic. Author of audio book on massage and mind body concerns and U Tube videos. 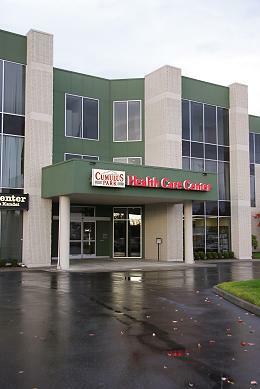 His private practice serves North Snohomish County; Arlington, Smokey Point, Stanwood, Lake Stevens, Lake Goodwin, (NO. )Lakewood, Granite Falls, Silvania, Mount Vernon and Everett area. Office is located just off I-5 off exit 206 within the Cumulus Park Health Care Center which is the first or front of 2 twin buildings. It has lighted free parking, wheel chair access and is on a bus route which stops in front of the building on Smokey Point blvd. Please visit my professional web site at http://www.harmonymassagetherapy.com or call 360-653-4657. "Compassionate care, tough on pain. Andrew Wolfe is without question the best massage therapist that has worked with me. After a serious motor vehicle accident, Andrew helped to bring my upper body into perfect mobility. The emphasis was on breaking down scar tissue and focusing on the area of injury. I would highly recommend Andrew to anyone who is looking for rehabilitation --- since the results I experienced were phenomenal. ", Holly Lyman.